From eyebrows to bikini lines, no hair is left untouched. 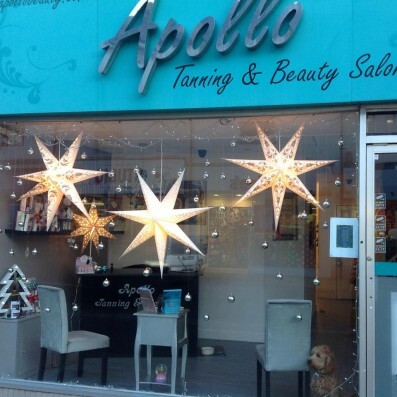 With a choice of tea tree cream wax or hot wax, our beauticians make it as pain free as possible using their wealth of experience since Apollo was established over 11 years ago. Ensure your face is framed beautifully with an eyebrow shape or tint, or try our party lashes and eyelash extensions for some extra drama. We offer a range of manicures and pedicures - from the classic French tips or an O.P.I nail polish of your choice, we have it covered. If you are looking for something more long lasting, try a gel manicure by O.P.I which lasts up to 3 weeks with no chipping, lasting shine and instant drying. Ensure you have that sun-kissed glow however you want it applied. From St Tropez cream tan to a Sienna X spray tan, we also provide sun beds for those who want to keep it natural. Our facials cater to every skin type with a choice of Dermalogica, Micodermabrasion and Age smart facials to name but a few, we will ensure your skin is treated with high quality products to achieve the best result.